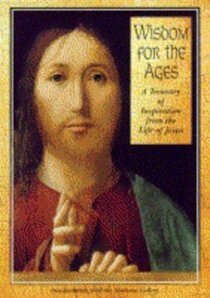 This lovely gift book illustrates the life of Jesus in fine art. His story is told directly from the Good News Version of the Bible, together with inspirational quotations from throughout the Christian centuries. About "Wisdom of the Ages"
Olivia Warburton commissions Primary RE resources for the Bible Reading Fellowship. She studied English Literature at Trinity College, Cambridge and has worked for a children's literacy charity.